I loved the cheesy 1960s Batman TV show when I was a kid. 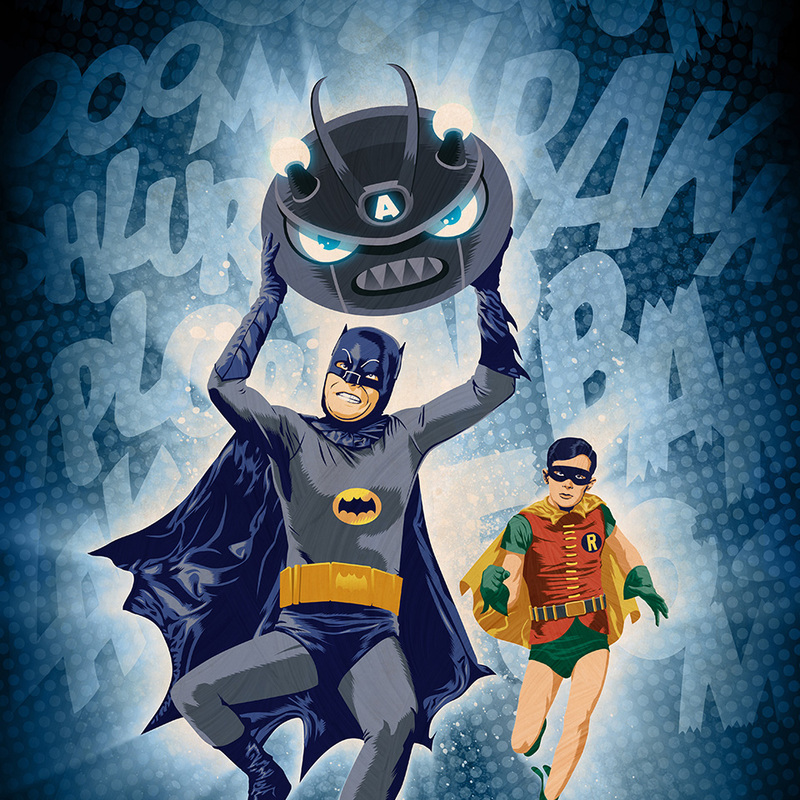 This illustration for Awesomecon gave me a chance to show the classic Adam West and Burt Ward versions of Batman and Robin. This work was created as the cover for the program booklet for Awesomecon Indianapolis, where West and Ward were featured guests. 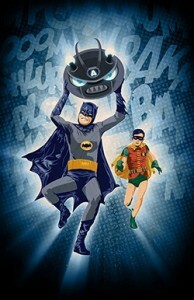 Batman is carrying the head of the Awesomecon robot mascot. This was a nod to the famous “Some days you just can’t get rid of a bomb” scene from the Batman movie.